It is true that mental-health services are grossly underfunded, but an equally important problem is the absence of creative leadership. FOR the past three years, my 20-year-old son has been lodged at the intersection of criminal justice and mental illness. He has been jailed five times and hospitalized three times. As a parent, I feel like a member of a Greek chorus observing and commenting on the tragedy, without any influence on how it plays out. This deadening sense of powerlessness is a feeling well known by other families touched by mental illness. Since 1965, I have been a “citizen lobbyist,” mostly on issues involving children’s health. For the past two years, I set about to lobby for some systemic changes, specifically supportive housing for the mentally ill and overcoming barriers that preclude family and friends from helping loved ones. The shortcomings of the mental-health system have been documented and described extensively by the media. The terms “crisis” and “broken” should be retired from overuse. More money is the fix most frequently cited. It is true that mental-health services are grossly underfunded, but an equally important problem is the absence of creative leadership. The question I repeatedly heard from mental-health workers, law-enforcement officers, court staff members and families: Who is running the show? My answer after two years of searching: nobody! During the last legislative session, I was struck by the sympathetic response of legislators from both parties and equally struck by the lack of creative initiative from the Governor’s Office. The interests of Gov. Jay Inslee and even Kevin Quigley, secretary of the Department of Social and Health Services (DSHS), were seemingly elsewhere. 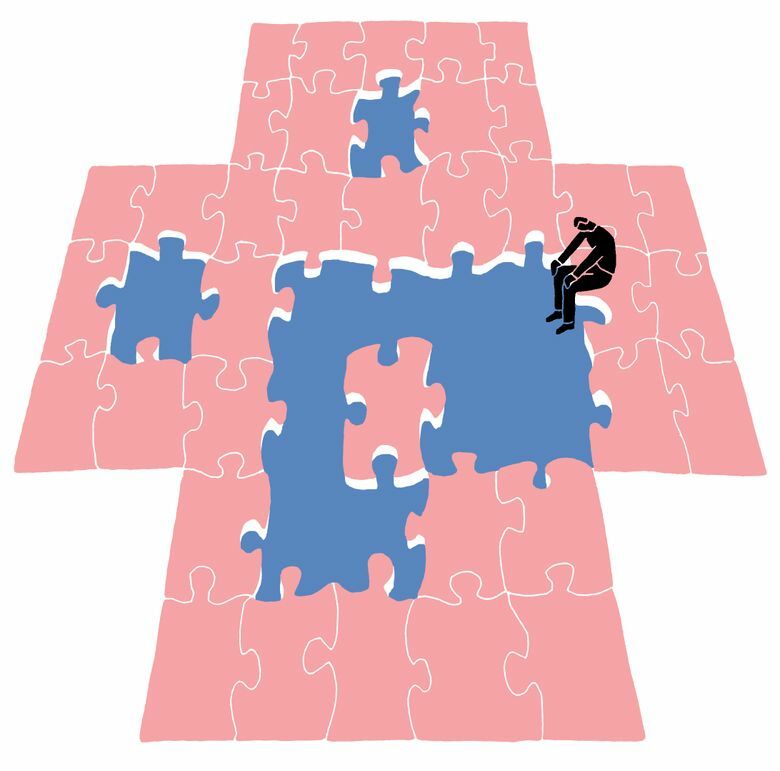 Where does responsibility for Washington’s mental-health programs lie? Believe it or not, in a DSHS office called the Behavioral Health and Service Integration Administration. The Orwellian title says it all. The staff is knowledgeable and dedicated, but they are bailing out a sinking lifeboat with teaspoons. This leadership vacuum affects patient treatment. For a time, my son was under the jurisdiction of the King County Mental Health Court. In this admirable operation, misdemeanor offenses can be dismissed upon completing a course of treatment. That treatment is provided by local mental-health centers under contract with King County, which in turn receives money from the state. But what type of treatment? My son was briefly in a residential treatment center employing Moral Reconation Therapy (MRT), a proprietary program developed in the criminal-justice system to reduce recidivism by increasing moral reasoning. In reviewing the literature, however, I could not find any studies demonstrating benefits for youths and young adults with serious mental illnesses. Abe Bergman is a retired pediatrician living on Vashon Island. He joined the University of Washington faculty in 1964 and is professor emeritus of pediatrics. I tried to discover who prescribed this treatment for my son. Was any physician involved? No. State mental-health contracts require that treatments be certified as evidence-based. State mental health contracts require that treatments be certified by a group called the Evidence-Based Practice Institute at the University of Washington. Evidently, MRT passed. How should the glaringly obvious gap in mental-health leadership be filled? First, Inslee must acknowledge that it exists. Then he must quickly find a leader who has knowledge of the field, inspires others and wants the challenge of a job that most of us consider hopeless. Finally, our political leaders cannot be expected to come up with creative solutions to overwhelming societal problems by themselves. One would think that mental-health professionals, especially psychiatrists or academic faculty members, might want to have a hand in responding to the current crisis — but I do not see them in the Olympia corridors. The increasing number of individuals with serious mental illness in our streets, hospital emergency rooms, mental hospitals, jails and shelters testifies to the need for new directions in treatment. The bell of social conscience needs to ring louder and our ears have to become more receptive.